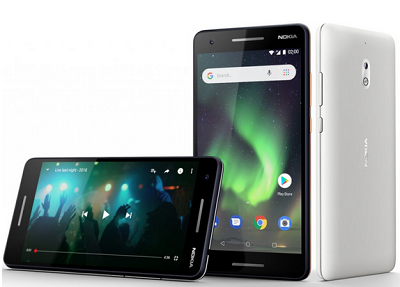 HMD Global has launched a new android device dubbed Nokia 2.1, successor of last year Nokia 2 which is now an Android Oreo (Go edition) smartphone. The phone has gotten a redesign and now looks more premium. 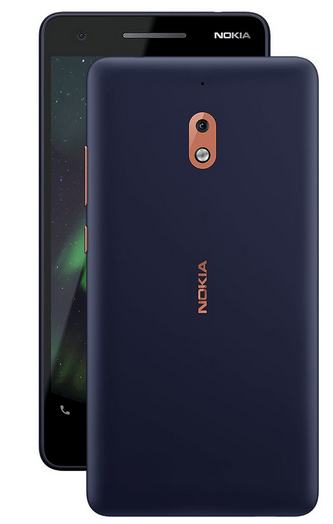 Just like the Nokia 6.1, the Nokia 2.1 has that copper colored metal line that runs around the frame of the phone. It has a 5.5-inch HD screen, powered by Snapdragon 425 with 1GB of RAM + 8GB internal memory, has an 8-megapixel camera with LED flash and a 5-megapixel camera on the front. The storage can be expanded by up to an additional 128GB via a dedicated MicroSD card slot. It has dual front-facing stereo speakers with 3D formed stainless steel detail, and a 4000mAh battery that promises up to 2 days of battery life. It will priced at $115 (N41400). It will go on sale in July. honestly the 1gb ram is a huge turn off for me. nice specs but a no on the 1gb RAM. Great phone and the battery is BaM! The are really In for business. But the 1gb ram is poor. 1 gb of ram is a NO in 2018. It is rubbish! 1gb ram for? Abeg make den park for one side.